Get consent from a parent or guardian before applying paint or temporary tattoos to a child's skin with these Face Painting Consent and Release Forms. Consent Form for Face Painting / Temporary Tattoo, which also includes a disclaimer of liability for any allergic skin reactions or damage to clothing or other surfaces from the transfer of paint. Model Release Form, which is a consent by the parent or guardian for the face painter to take pictures of the child and use them for marketing and publicity purposes. These Face Painting Consent and Release Forms protect you from insurance and damage claims at a later date. Downloadable and customizable to meet your needs. 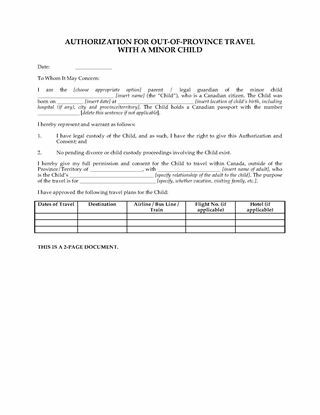 Give written consent for your child to travel in the company of another adult with this Canada Parental Authorization for Travel with Minor Child. 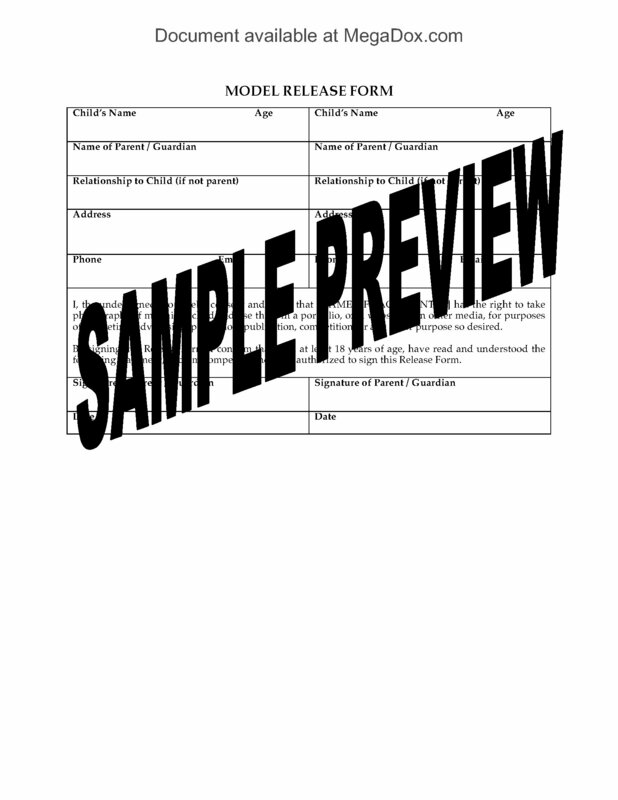 This form is only valid for travel within the provinces and territories of Canada. The parent or guardian consenting to the travel represents that he/she has legal custody of the child. The parent/guardian must also attest that no divorce or child custody proceedings are pending with respect to the child. The parent â„ guardian states that s/he is giving consent of his/her own free will. This Canada Parental Authorization for Travel with Minor Child is a legal document that proves the adult traveling with the child has your permission. Failure to produce it upon request could result in delays, cancellations, and even arrest. Prepare a Performer Release and Consent for a minor child appearing in a film or television production with this easy-to-use template. The Release and Consent must be signed by the parent or guardian of an actor who is not of legal age. It releases the producers from future claims and liability arising from the minor child's appearance in the film or TV program. The release grants the producers the perpetual right to use the child's image, likeness or voice recordings in connection with the film. The parent or guardian agrees to be present on set during filming, as required by law. The child waives his/her right to bring suit against the producers with respect to the production at any time in the future. 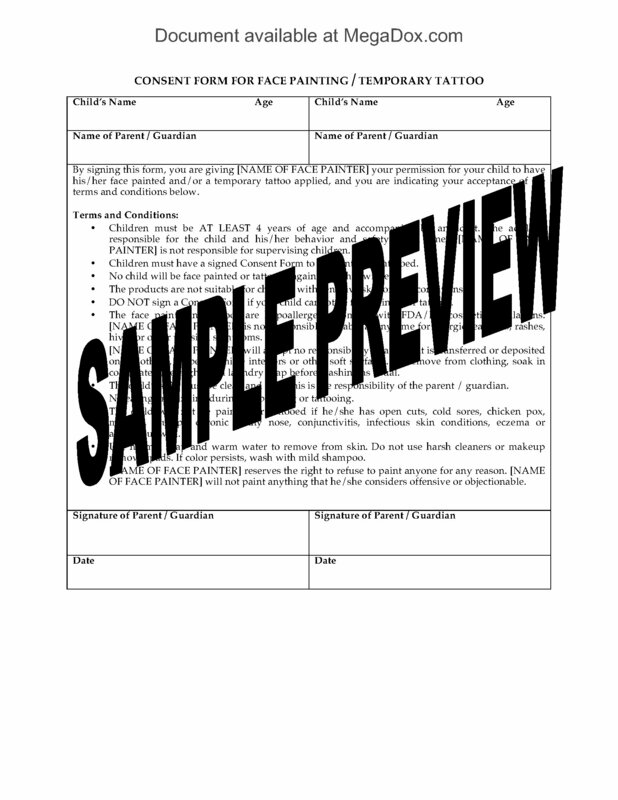 This is a generic release form template which is not country-specific and can be used anywhere. It's important to have the Performer Release Form for Minor Child signed for each underage actor prior to shooting any scenes that the minor appears in. 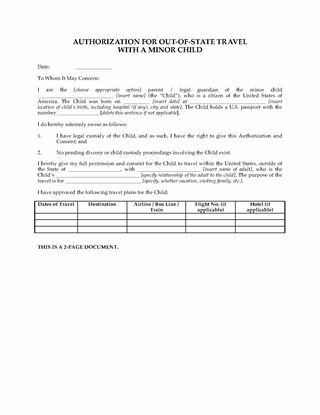 Give written consent for your child to travel outside your city or state of residence in the company of another adult with this USA Parental Authorization for Travel with Minor Child. The parent or guardian authorizing the trip must swear that he/she has legal custody, and that no divorce or child custody proceedings are pending. The form must be acknowledged in front of a Notary Public. This authorization form is only valid for travel within the United States. USA Parental Authorization for Travel with Minor Child form, in MS Word format. Easy to fill in, edit and print.